Violinist Brittany Boulding currently resides in Seattle. Recent solo appearances include performances with the New Haven Symphony, the Spoleto Festival, and the National Repertory Orchestra. Brittany also performs regularly with the Seattle Symphony and Seattle Opera. An avid chamber musician, Brittany has most recently performed in the Simple Measures, Second City, and Guemes Island chamber music series. During the summer season, Brittany attends the Bellingham Festival of Music and has appeared as concertmaster of the Tanglewood Music Center, Banff Center, and Spoleto Festival USA orchestras. Brittany studied with Kenneth Goldsmith and Robert Lipsett. 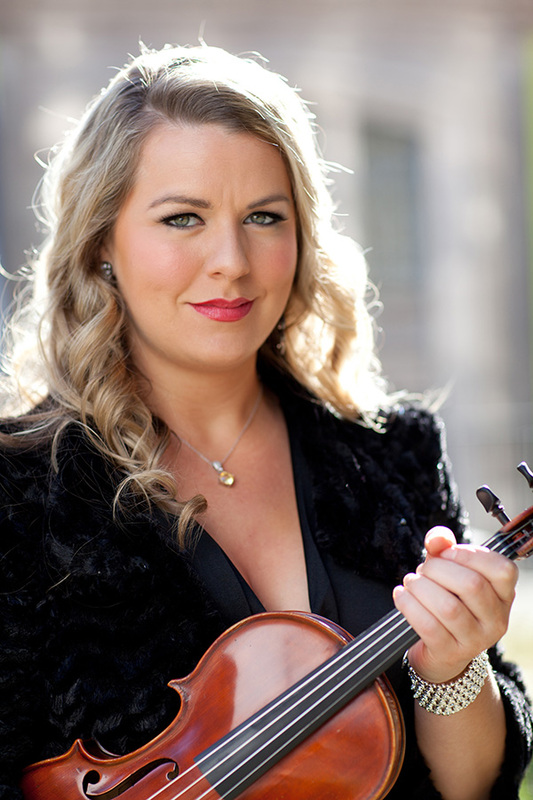 Her violin career also extends beyond her experience as a classical musician – since the age of 6, Brittany has performed with her family, the internationally acclaimed MAGICAL STRINGS, touring throughout the U.S., Canada, Japan, and Ireland. Brittany has recorded on five of their 16 albums and been a featured soloist at their annual Celtic Yuletide Concerts, a celebrated Northwest tradition.